William Barr is saying precisely the correct thing as it regards an investigation into the president of the United States. The U.S. attorney general-designate has stated that it is “vitally important” that special counsel Robert Mueller be allowed to finish his exhaustive examination of Donald Trump’s conduct while running for the presidency and since he took office. He will tell the Senate Judiciary Committee that very thing beginning on Tuesday when he sits before the panel that will decide whether to recommend him for confirmation by the full Senate. 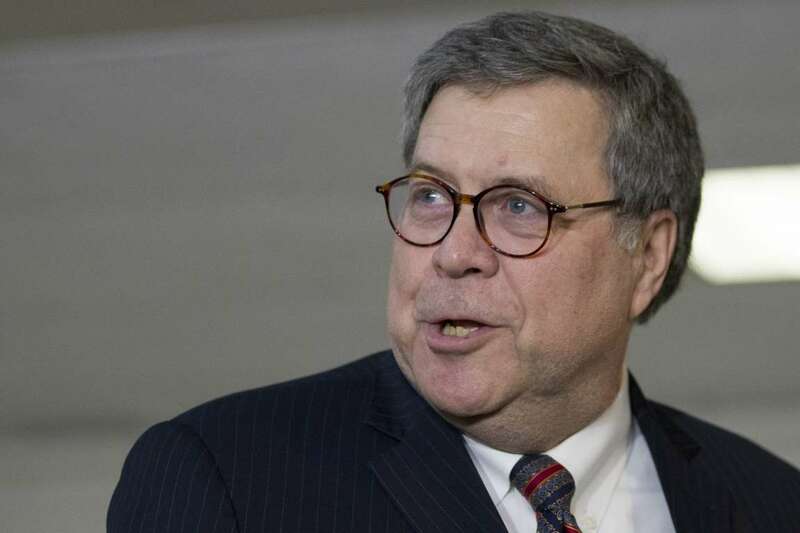 What’s more, Barr has let it be known that it is “very important” that Mueller’s findings are released to Congress and to the public. There shouldn’t be any hiding of the facts from Americans who want to know the details of what Mueller’s legal team will have concluded. At issue, of course, is this matter of “collusion” with Russian operatives who attacked our electoral system in 2016. Did the Trump campaign cooperate with the Russians? If so, to what end? If not, then we need to hear that, too. Barr, who served as AG during the George H.W. Bush administration, is certainly no stranger to senatorial inquiries. Indeed, he is considered to be a fine lawyer with a stellar pedigree. For the prospective attorney general to allay the fears of many who thought he might impede Mueller’s probe is welcome news. I doubt seriously whether the statement that Barr issued today is going to prevent Judiciary Committee members from asking him directly whether he will guarantee that Mueller is allowed to finish his job. Let them ask. 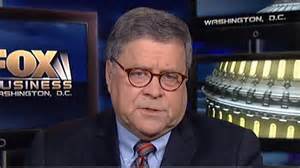 Barr then will go on the record with his assurances. I feel the need to set the record straight about former U.S. Attorney General Jeff Sessions. 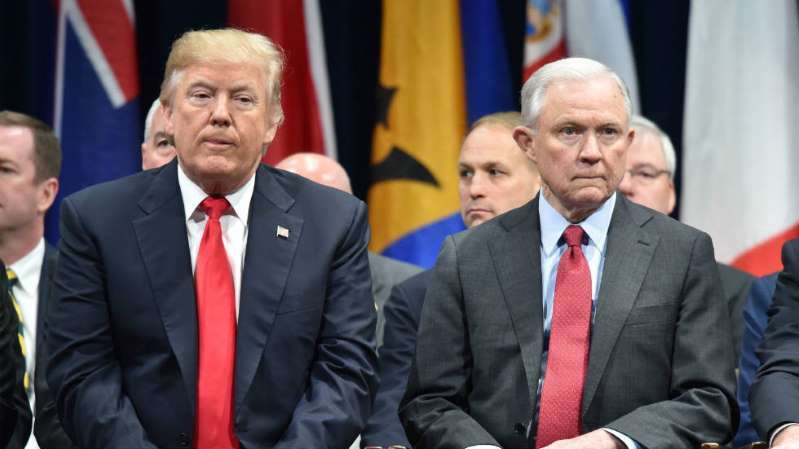 I have spent some time commenting positively about on this blog for his decision to recuse himself from the Russia probe into the Donald Trump presidential campaign. He faced a clear conflict of interest when he took the job as AG because of his campaign role as a foreign policy adviser to Donald Trump. He was involved at some level with the Russians who made contact with the campaign. There were questions about an investigation. Sessions had to recuse himself because of the conflict of interest. I applauded him for that singular act. However, he shouldn’t have been selected AG in the first place. The man “earned” the nomination because he was the first U.S. senator to endorse Trump’s candidacy. Prior to his becoming a senator, though, Sessions took on a serious blot on his public service record. He served as a U.S. attorney in Alabama. President Reagan nominated him in 1986 to a federal judgeship. Then questions surfaced about Sessions’s comments regarding the Ku Klux Klan. Witnesses testified before the Senate Judiciary Committee that Sessions reportedly had given KKK members a pass until he learned that they “smoked pot.” Four Justice Department lawyers testified they heard Sessions make racist remarks. The committee eventually voted 10-8 against his nomination. It went to the full Senate for a vote and senators rejected Sessions for the federal bench. What did he do then? He ran for the Senate in 1996 — and won! He served in the Senate for 20 years until Trump tapped him to lead the Justice Department. He didn’t stand out during his Senate years. Sessions, though, did manage to get embraced by Trump. Am I glad he’s gone from the Justice Department? Yes and no. I am unhappy that his resignation now clears the decks for Trump to nominate someone who endorses his view about Mueller’s investigation. Overall, though, I won’t shed a tear that he’s gone. His pre-Senate history was a deal breaker from the get-go. Judge Brett Kavanaugh appears headed for the U.S. Supreme Court. I don’t believe he belongs there, but that’s not my call. Texas’s two U.S. senators are going to vote for his confirmation, along with at least 48 of their colleagues. That puts he count at 50 “yes” votes; Vice President Mike Pence will be standing by to break the tie. OK, that all said, Kavanaugh has made a promise to be an “impartial” justice once he joins the highest court in America. He wrote the op-ed column for the Wall Street Journal in an extraordinary last-minute pitch to the Senate to confirm him. It is fair to wonder — so I will do so — whether Kavanaugh’s pledge of impartiality and fairness from the SCOTUS bench is an empty one. He is going to ascend to the highest judicial post in America and it’s a lifetime job at that! It’s his for as long as he wants it, or for as long as he draws breath. I want to believe that he can be the kind of justice he pledges to be. The skeptic in me, based on his performance at that supplemental Senate Judiciary Committee hearing, makes me wonder whether he can keep that promise. Judges who get these lifetime jobs are free to rule however they wish, within the constraints of the U.S. Constitution. They have no elections awaiting them. Sure, they can be impeached, but the bar for judicial impeachment is at least as high as it is for a presidential impeachment. Those of us who oppose Kavanaugh’s appointment are left to hope for the best … even as we fear the worst. The fix is in. The deal appears to be done. Barring some remarkable change of mind and heart among key U.S. senators, a deeply flawed nominee is heading for the ninth seat on the U.S. Supreme Court. 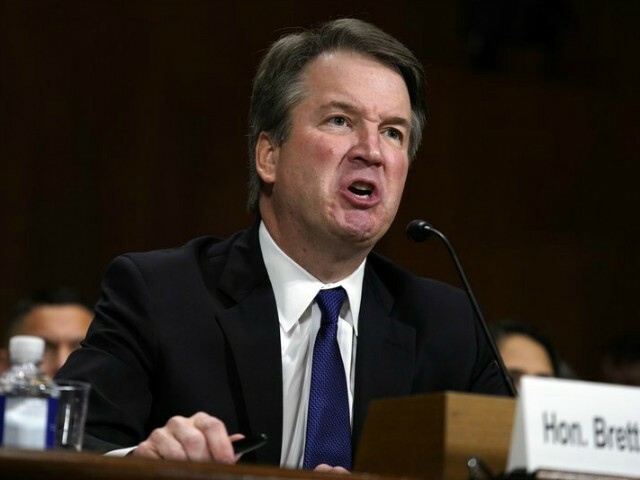 Federal Judge Brett Kavanaugh stands accused — still! — of sexual assault by a woman who accused him of attacking her when they were teenagers. Christine Blasey Ford testified to the U.S. Senate Judiciary Committee that Kavanaugh did as she has alleged. She said she is “100 percent certain” her attacker was young Brett. He disqualified himself, though, in my mind with his highly partisan attack on those who have opposed his nomination by Donald J. Trump. He blamed those who seek “revenge” on behalf of Bill and Hillary Clinton and then said their effort was being financed by “left-wing” political interest groups. Senate Republicans led by Mitch McConnell are delivering the mother of all bum’s rushes in pushing this nomination forward. The FBI conducted a perfunctory examination of Kavanaugh and the allegation against him. It didn’t bother to talk to Ford, which I would have thought would have been a no-brainer. The report now is in the hands of senators, Democrats and Republicans. It needs to be made public, given that Kavanaugh appears headed to a lifetime post on the nation’s highest court — which is paid for with money that comes out of my pocket … and yours! 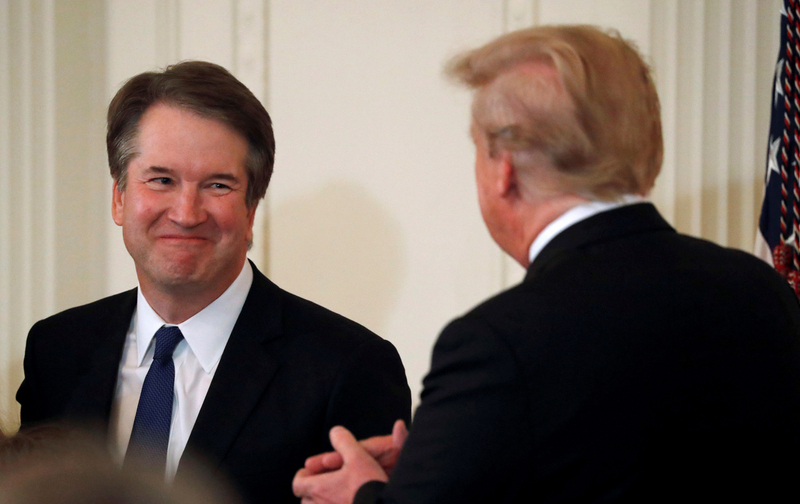 The very best I could have hoped for would have been for Kavanaugh to set aside politics as he pondered how to rule on cases that come before the court. His performance at the supplemental hearing dashed that hope for me. Newspapers are editorializing against Kavanaugh’s nomination. A retired Supreme Court justice, John Paul Stevens — confirmed in 1975 after being nominated by President Ford — said he has changed his mind and now opposes him. Demonstrators are marching in streets. Politicians are making speeches opposing Kavanaugh. Will any of this matter? Will anyone’s minds be changed? Probably not. I’m left, therefore, to say a prayer for us as we recover from the circus we’ve just witnessed. I cannot remain silent on a minor back story involving the confirmation hearing of Brett Kavanaugh, Donald Trump’s nominee to join the U.S. Supreme Court. Blumenthal sits on the Senate Judiciary Committee. His path to the Senate came amid some controversy of its own, involving Blumenthal’s own lying. You see, the senator who’s been in public life for a long time, had been lying about his so-called service in Vietnam during the Vietnam War. As the saying goes … oops! He set never foot in-country during the Vietnam War. You see, those of us who did set foot in-country during the Vietnam War take this kind of lie quite seriously. It’s the kind of lie I cannot look past when I hear a politician pontificate about truth-telling to another public figure. 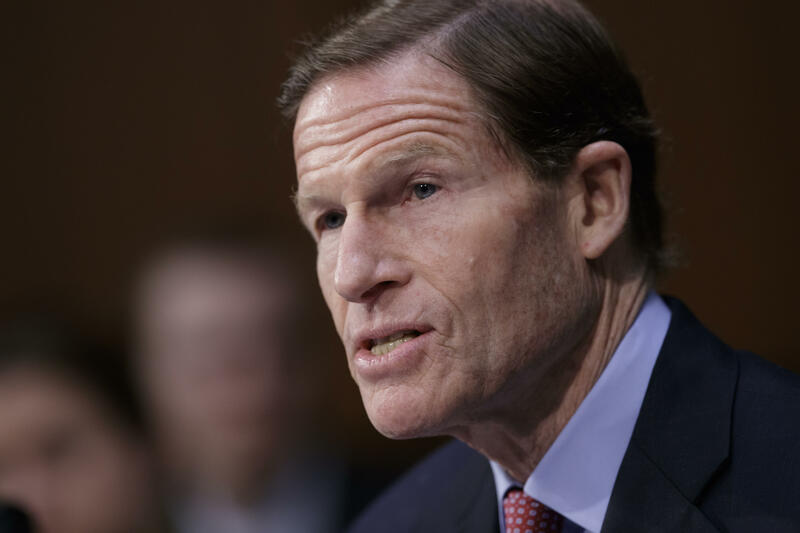 Sen. Blumenthal’s hypocrisy doesn’t change my mind about Kavanaugh’s nomination to join the nation’s highest court. It just galls me in the extreme to hear a politician say something he ought to know would come back to bite him in the backside. How will this donnybrook finish? Federal Judge Brett Kavanaugh insists he won’t withdraw his name from consideration to the U.S. Supreme Court. Then again, that’s what they all say … until they do what they say they won’t do. Donald Trump’s nominee to the high court is facing serious accusations that he sexually assaulted a woman in 1982; two other women have leveled similar charges. The FBI is looking once again at Kavanaugh’s background. Three U.S. senators — all Republicans — stand at the center of this political tumult. 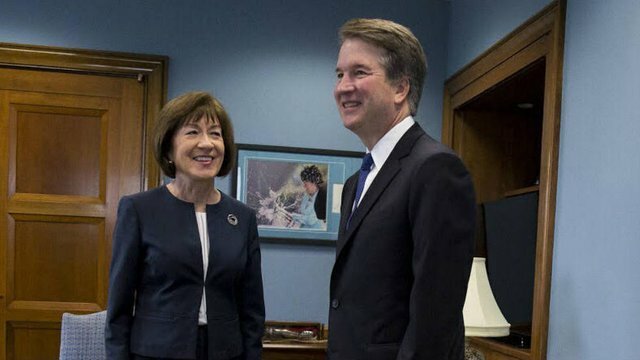 Jeff Flake of Arizona, Lisa Murkowski of Alaska and Susan Collins of Maine are officially “undecided” on how they will vote on Kavanaugh’s confirmation. If two of them turn against Kavanaugh, it’s over, assuming that the Democratic Senate minority stands together in opposing Kavanaugh’s nomination. If the FBI determines that Kavanaugh lied to the Senate Judiciary Committee about what he did back in the old days, well, that also is a deal breaker. I cannot begin to predict it’ll happen, but I’ll just say I won’t be surprised if in the next 24 hours or so that Kavanaugh does what he says he will never do — and withdraws his name from consideration. Example? Donald Trump got elected president of the United States of America. The FBI has embarked on an investigation into whether Brett Kavanaugh is a suitable choice to take his seat on the U.S. Supreme Court. The nominee stands accused of sexual assault. He has denied it vehemently. His accuser, Christine Blasey Ford, has affirmed her allegation with equal vehemence. He said, she said … blah, blah, blah. The fate of Kavanaugh’s court nomination, however, might hinge on whether he lied to the Senate Judiciary Committee about how much beer he drank while he was in high school. No kidding, man! That’s the deal — maybe, perhaps, possibly. If the FBI determines that he lied under oath to the Senate panel, well, it’s over. Kavanaugh shouldn’t be seated on the nation’s highest court. Let us also remember that in 1998, the U.S. House of Representatives — led by its Republican majority — was looking for a reason to impeach President Bill Clinton. The president gave it to them when it was determined he lied — also under oath — to a federal grand jury about whether he had a sexual relationship with a White House intern. The House impeached the president. The Senate tried him, but he was acquitted. The clear lesson here for Judge Kavanaugh is that the oath he took to tell the whole truth before the Senate committee is every bit as binding as the oath that President Clinton took to tell the truth to the grand jury.